LAST year was a very good one for live jazz, between international visitors and the best of the Irish. The gig of the year came early. 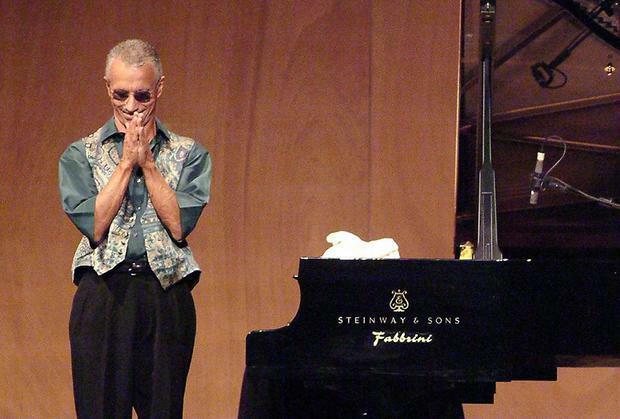 Keith Jarrett, playing solo in the National Concert Hall in February, was absolutely superb, whether playing his own free-wheeling improvisations or standards like Somewhere Over The Rainbow. He seemed to be enjoying himself just as much as the audience. Ian Shaw arrived in March and sang with the Phil Ware Trio in JJ Smyth's. His flexibility, range and sense of humour were evident in everything from Lullaby of the Leaves to Take Out Your False Teeth, Momma. In May, we heard Kurt Elling with the RTE Concert Orchestra in the NCH. He brought his own inimitable touch to songs by Betty Carter, Paul Simon, Duke Ellington and others, then ended on an Irish note with Raglan Road. The following night another top singer, Norma Winstone, appeared with Tommy Halferty in the intimate surroundings of the National Yacht Club. July began with two exciting concerts in the NCH: the Branford Marsalis Quartet on the third and Dianne Reeves on the fourth. Later in the month, the vibrant Sligo Jazz Project featured Kenny Werner, Jean Toussaint, Tony Miceli and Linley Hamilton, as well as a return visit by Ian Shaw, who sang with the Dublin City Jazz Orchestra. Prominent among the home-grown musicians this year were veterans Jim Doherty and Louis Stewart, who launched their duo CD Tunes in March. In June, they played a memorable concert with Honor Heffernan in Bewley's. Emigrant singer Melanie O'Reilly gave a great performance in the John Field Room in October, accompanied by the American pianist Frank Martin. The good gigs continued right up to December, with Brad Mehldau in the NCH and the Larry Goldings organ trio in the Sugar Club. And the New Year strikes the right note from the beginning, with the Ahmad Jamal Trio in Vicar Street on January 24. By Craig Simpson, Press Association Brian Harvey has released footage appearing to show his own arrest last month.